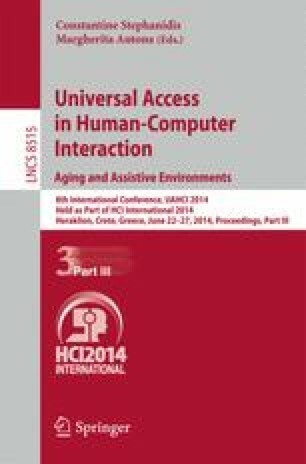 Previous studies about tactile interaction by older adults show some important design considerations that should be applied in order to create more usable and accessible applications. The related results have been applied during the development of a serious game destined to support a social activity with older adults using touchscreen devices. An exploratory study investigates the use of touchscreen mobile devices by 17 older adults and 5 children. The results of an empirical observation allow a description of the participants’ appreciation of touchscreen devices, a typology of common errors, the gesture strategies of tactile interaction and design proposals to support interaction.